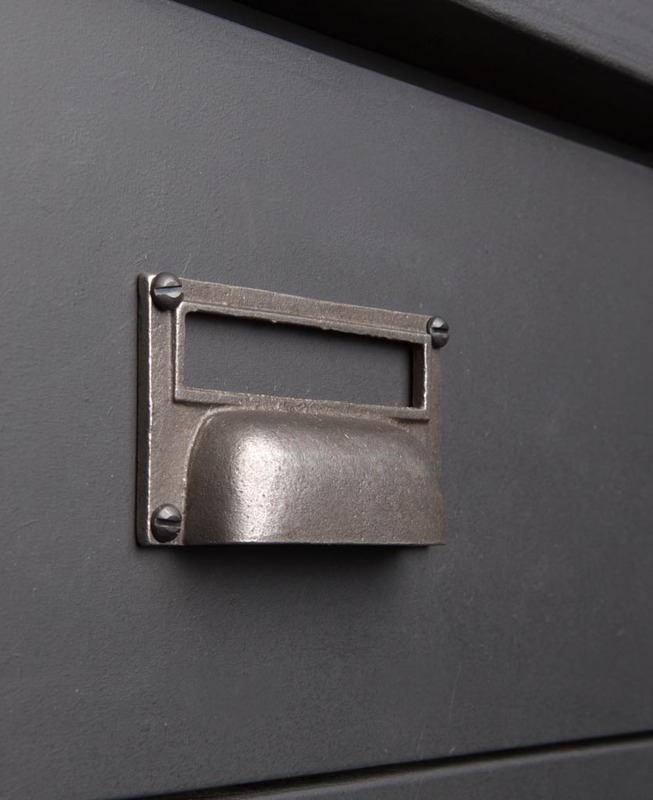 We love this vintage industrial style ABODE kitchen door handle. It’s ideal for kitchen cupboard doors & drawer chests. If you’re lucky enough to have a salvaged set of archive drawers from a factory, these are the perfect handles. 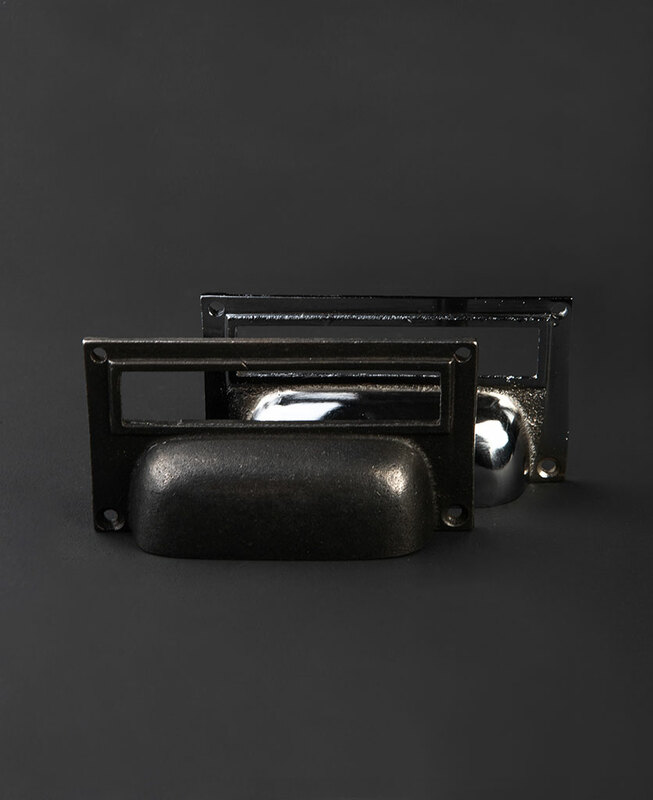 Our ABODE kitchen door handle is perfect for attaching to wooden drawers and kitchen cupboard doors for a true vintage industrial finishing touch. It’s a solid metal handle in the style of something you’d find fixed on archive storage drawers in old factories. 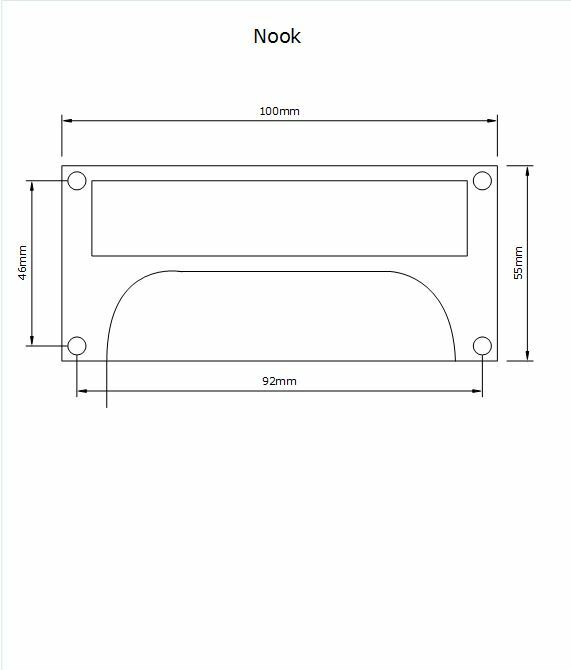 A semi-circular pull handle with a squared off metal surround – it even has space for you to add a label. should you so desire. Traditionally used on wood, these Abode handles suit many door styles from immaculately painted surfaces to natural grained, reclaimed planks. Iron Age, a raw iron finish, is perfect for continuing the rustic distressed feel of untreated wood. Abode is a solid metal handle. It feels substantial to the touch and is a fabulous way to open and close your kitchen unit doors. Alternatively, revamp a stripped wood, antique chest of drawers with these pull handles to give it an authentic look.